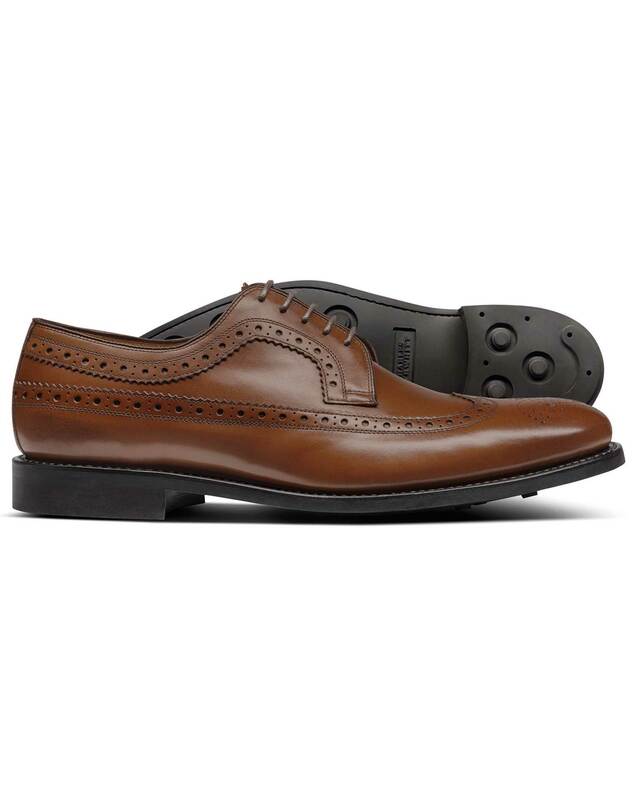 "This is the ultimate Derby shoe: classically elegant, made in England by the most skilled artisans in the business. Get yourself heeled properly; do it for your look, for your comfort and for your pocket: did you know these Goodyear soles last longer and can be repaired? How’s that for a solid investment?" "Timeless Derby shoes; handmade in England from the finest buttery calfskin with hardwearing Goodyear-welted soles that can be repaired." The perfect pair of shoes to add to my collection and my wife likes them! Great looking shoe but not very comfortable. Response from Charles Tyrwhitt: I am sorry to hear that your recent purchase is not quite to your taste. Here at Charles Tyrwhitt we strive to provide the very best for our customers so it is a shame that you have not completely fallen in love with your new shoes. You are of course more than welcome to return or exchange your items with our no quibble 6 month guarantee, to ensure you can have the perfect new addition to your wardrobe.